Hang Line: Mountain Climber is the latest release from Yodo1 Games, the publisher for the popular auto-runner Rodeo Stampede. This time around, instead of wrangling stampeding animals with a lasso, you'll be tasked with using a grappling hook to climb your way to the top of five perilous mountains in search of stranded survivors. Welcome to the latest entry in our Bonus Round series, wherein we tell you all about the new Android games of the day that we couldn't get to during our regular news rounds. Consider this a quick update for the dedicated gamers who can't wait for our bi-weekly roundups, and don't want to wade through a whole day's worth of news just to get their pixelated fix. Today we've got a fun top-down arcade racer, a unique sci-fi strategy digging game, a deeply detailed horror puzzler, a competent clone of Animal Crossing Happy Home Designer, a dynamic martial art themed MMO, and a minimal number-based puzzle game. Decisions are the essence of drama. You can have ten thousand explosions go off in every second of your story, but until someone decides what to do about them, nobody will care. The latest mobile game from prolific publisher Devolver Digital gets that: it's an odd mix between a card game and Tinder with a cartoon medieval setting. 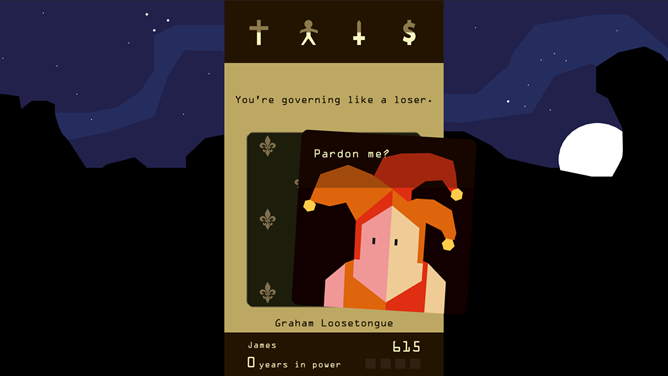 In Reigns, each tiny decision builds up a procedurally-generated story of your time spent as king.